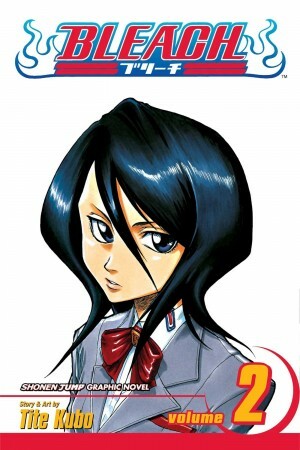 Vaguely at first, but ever more explicitly as the series continues, Yukito Kishiro has been drawing connections between the surface level dog eat dog environments of the Scrapyard and the Factory, and the distant floating city in the sky, Tiphares. We’ve met a couple of people from Tiphares, but it’s inaccessible to those below, and most of the residents have remained aloof. 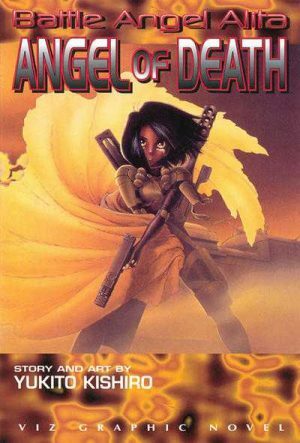 Angel of Redemption left Alita in a bad way, and Angel of Death begins with the first explicit contact from Tiphares, revealing that Alita has been observed and tested, and found worthy of being their agent. 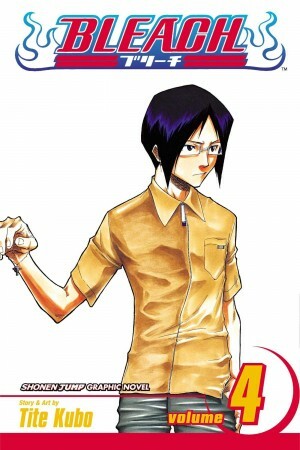 Kishiro then sidelines Alita for much of the next chapter as he introduces his other plot, the losses gangster Mr Vector is suffering due to continual attacks on his nuclear powered trains in the badlands way outside the cities. His solution is to employ extra protection, and that’s when we meet the oddly named Figure Four. Kishiro switches the tone of the series with almost every new volume, and this is his Mad Max tribute. Visually this is a great idea. 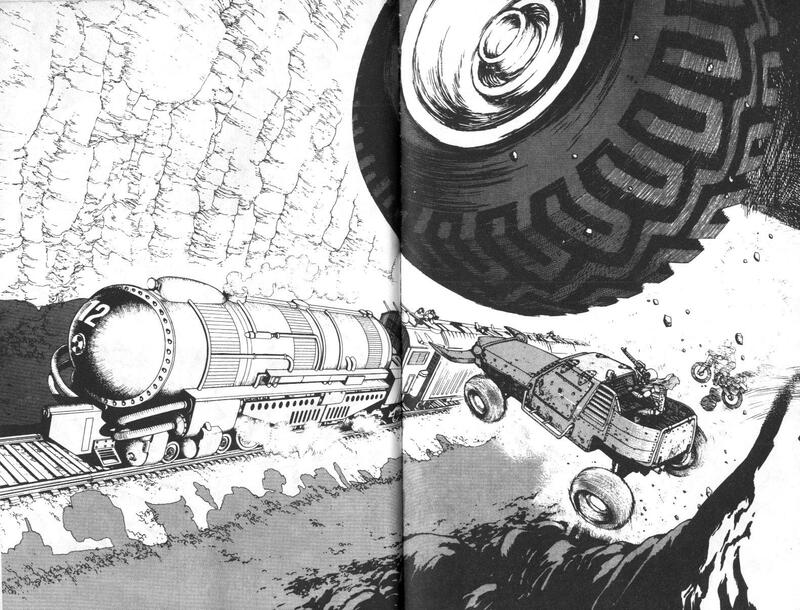 The artist that Kishiro had become by this stage revels in the shots of buggies hitting against trains as seen on the sample spread. Figure Four is more troublesome, very much in the assembly line tradition of grimacing, muscled manga brutes along the lines of Rambo, and the point at which Kishiro introduces explicit comedy sequences to Battle Angel Alita. While with other characters Kishiro’s managed to twist them into something original, this never happens with Figure Four, the shame being that his introductory scene is great. 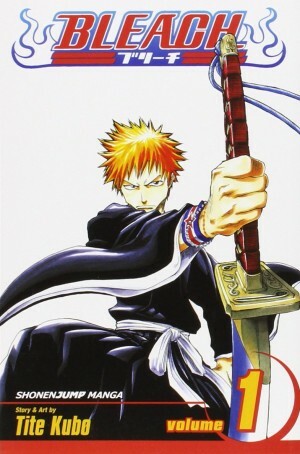 Having so far confined his series to the Scrapyard, Angel of Death is the first time Kishiro moves beyond, showing the ruins of 20th century cities and referencing the coastal communities along with the threats to be found in the sea. His art now varies between the manga style exaggeration of staring eyed faces with open mouths screaming and plenty of speed lines, and far more delicate linework constructing locations and technology, with Katsuhiro Otomo seemingly an inspiration. As ever, Kishiro is really inventive with the technology, the screw in bulb heads of the rocket soldiers being the most impressive, but after the bombshell of the opening sequence there’s little progression as Alita becomes involved in another battle against another bunch of cyborgs, and what’s meant to be the big emotional pull of a supporting character never really convinces. 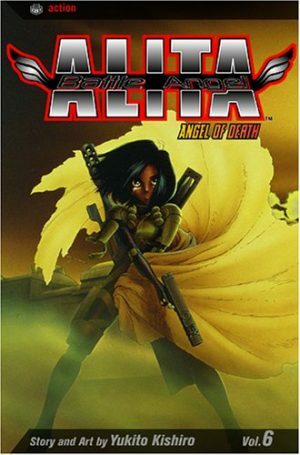 Angel of Chaos follows, while this has been more recently reprinted along with Angel of Redemption as Battle Angel Alita Deluxe Edition Vol. 3.